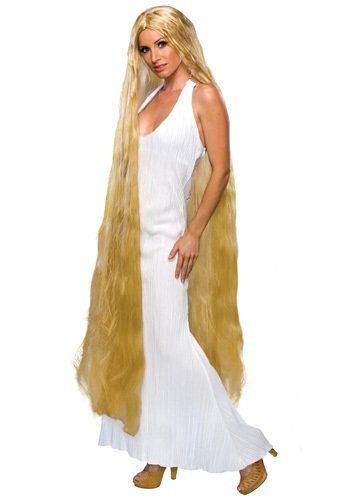 Get the right Rapunzel or Lady Godiva look in this luxurious wig! The wig is made of a soft, dark blond material and goes down beyond the waist. It goes over the head with elastic to hold it in place. Get one of our prince costumes and make it a couples Halloween!